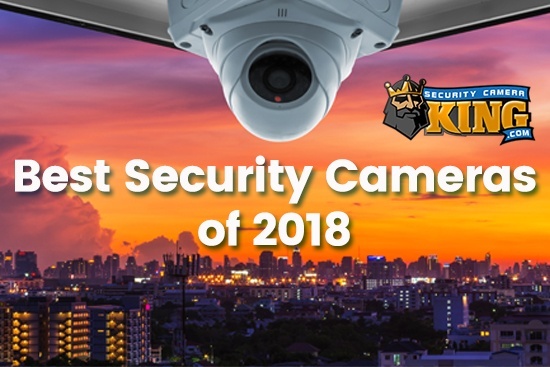 There are a lot of different possibilities for security cameras on the market today for you to choose from for all of your home surveillance needs. The board cameras are relatively small and compact. They feature a lens that is directly mounted onto the circuit board. These types of cameras tend to be used the majority of the time in a discrete application. Bullet cameras are going to differ in their appearance from the other common security cameras. They have also been referred to as lipstick cameras because they are small and cylindrical, as well as bring encased in metal housing. The dome cameras are typically half spherical cameras that can be used in a discreet location like the board cameras. Fixed cameras are also referred to as box cameras and normally only consist of the body of the camera, a lens, power supply cord and a bracket that you normally have to purchase separate from the system. When most people think of a camera they tend to think of this type of camera. The majority of these cameras are going to come in either an indoor or an outdoor model. There are even ones that come equipped with night vision technology which is going to combine the camera with the infra red LED for the optimum night time viewing capabilities. Since there are so many choices available, it is hard to know which one is going to be the best for all of your needs. Color security cameras are becoming more and more popular as the need for home security rises. There are a lot of people who are debating on purchasing a color camera for their home security, but at the same time they also wonder if a black and white camera would be able to do the job. 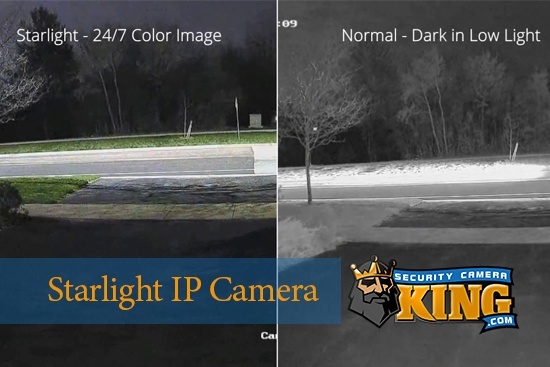 Even though black and white security cameras are cheaper than their counterparts, you should consider a few different things when deciding how effective they are going to be for you compared to the color cameras. Color security cameras have been integrated with a CCTV system that will work together n conjunction with the Charged Coupled Device technology. This technology means that the cameras are going to convert the pictures that have been captured through the camera lens into electronic data. The technology is not as expensive as you may think it is and it provides some of the best in quality images that are not as susceptible to noise as their counterparts. The majority of cameras, which are used for surveillance purposes, have a viewing size of between ¼ inch and one inch. However, the average size varies between ¼ inch and 1/3 inch and the market for CCTV is overflowing with this type of camera. If you are looking to have a more advanced quality image when there may not be as ample lighting conditions, you may want to choose a larger format for optimum performance. Listed below you will find the pros and cons of the color security cameras versus the black and white cameras. It used to be that color security cameras were only used for corporations since they are a lot more complicated and expensive than their counterparts, the black and white cameras. There were few businesses that could afford this particular type of technology. Due to the increased cost factor of the color security cameras, they were almost non-existent in the average consumer’s home. However, in today’s society the prices have been dramatically reduced and the market is able to offer a lot more options in color cameras that homeowners everywhere are able to afford. The majority of security camera experts are going to tell you that a color security camera is going to be a lot more effective because it will be able to identify colors. For example, if you have an intruder that you are looking for, knowing the coloring of their shirt could be the determining factor to catching them down the road. However, the black and white cameras are a lot more suited for locations that do not have a lot of light. If you are using the camera on the inside of your home, a color security camera is going to prove to be your best choice. When looking through the different options, you may find that the color cameras are going to be able to switch between color and black and white as the lighting situation calls for it. It doesn’t matter if you are considering a high tech wireless color camera or their counterpart hardwired models because there are a few things that you need to be on the lookout for. The signal to noise ratio is actually the balance between the actual information in the picture and the static, or image noise. If you have a ratio of 40db, which shows that the signal is going to be 100 times stronger than the surrounding noise. This is going to produce an image quality that is acceptable and considered average. However, a 60 db ratio will exhibit an excellent image quality, whereas, a 30 db ratio is considered poor and is not recommended for use. It is not just the camera itself that can insert noise; low lighting conditions and poor wiring will also introduce static into the security system. 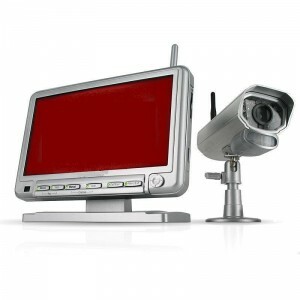 Resolution is one of the most vital aspects of a security camera system. The greater level of resolution that is produced by the surveillance camera, the sharper the picture is going to be. When looking for your new security camera, you should try to look for one that has horizontal television lines with average numbers or approximately 350 to 400 television lines. Some of the higher resolution cameras will have 500 television lines or higher for resolution. If you are looking to upgrade your existing camera model, you can do so by paying a relatively modest fee. Before you look into purchasing a high resolution camera or upgrading your existing one you want to make sure that your video camera is going to be capable of supporting the higher resolution cameras, otherwise you are just going to be wasting your time and money in the long run. Light sensitivity is measured in terms of lux. If you have lower lux sensitivity, you are going to be able to see better in darker lighting conditions. However, you will be able to find plenty of color cameras that are going to have a lux sensitivity of one to 0.5, which means that they are able to perform in poorly lit conditions. If you have the assistance of an infrared lighting system, a camera will be able to work with a lux rating of zero. You have the option of purchasing a color security camera and recorder all in one convenient package. This complete package is going to give you an easy to use digital video recorder that has a built-in motion detector and a color CMOS camera that can record videos in real time through the use of a removable SD memory card. It is going to feature night vision technology that will automatically switch to black and white recording as the lighting conditions demand it. You can choose to use this security camera at home, work, stores and any other indoor location that is going to require the use of a watchful eye to make sure that everything is taken care of when you are not able to be there. If you are looking for a security camera that is simple to use and doesn’t cost you a fortune, there are plenty of options to choose from. One of the top color security cameras is the Looker. It is the perfect product that will give you what you need at a price you can afford. It is extremely easy to use and affordable for almost any budget. It offers a digital video recorder that does not involve any expensive equipment or advanced assembly techniques. You simply place the camera where you want to record and the device begins to do its job automatically for you right off the bat. There is the option of choosing to have the recording done on a continual basis or only when there is motion detected. It comes complete with an AC adapter that allows you to run the device at almost any indoor location. There is also a built-in battery that will cover you for an hour after the power goes out, so you are always protected and prepared with this handy little device. 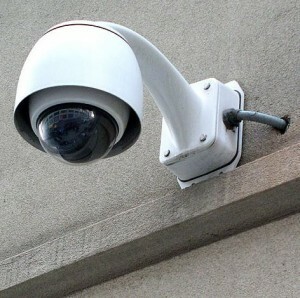 • Color security cameras are going to be a little more expensive than their black and white counterparts. • There are cameras that are available that can switch back and forth from color to black and white when the situation warrants it. • Make sure to choose a signal to noise ratio of at least 40 db to receive an image quality that is acceptable. • In order to receive a sharper picture quality, you should choose a security camera that has around 350 to 400 television lines. • If you have a lower lux rating, you are not going to need as much lighting for the camera to be effective. 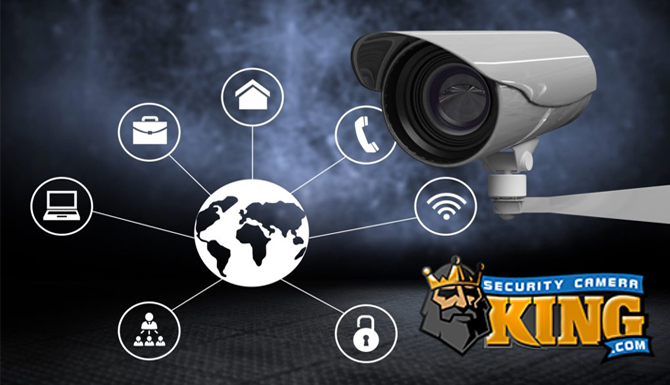 Contact Security Camera King today for all your security camera needs!